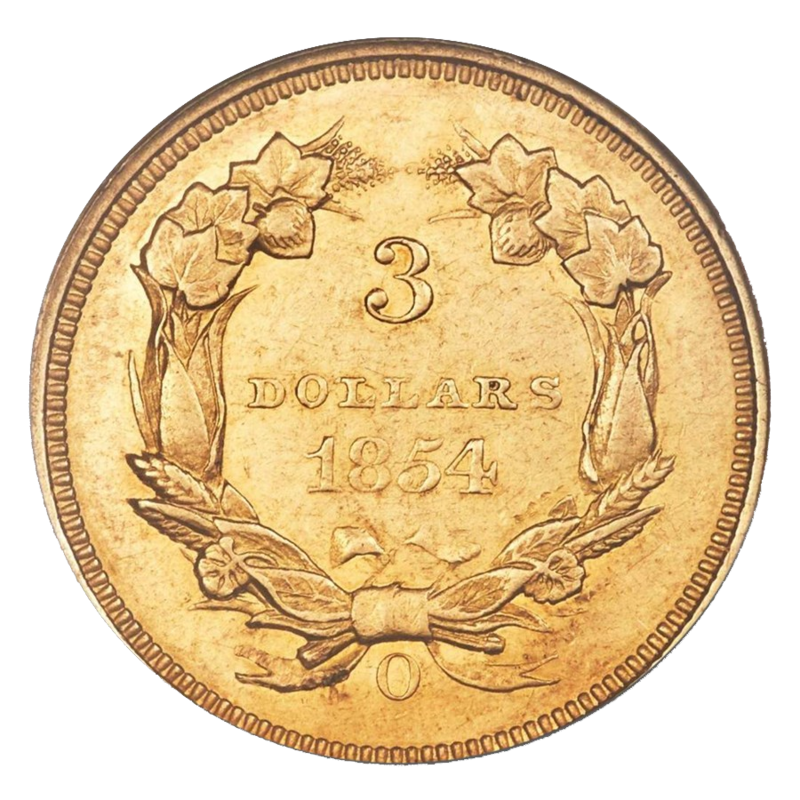 $3 gold princess coin were issued from 1854-1889. The $3 Indian Princess gold coin is considered one of the most unusual coins produced by the United States Mint. Designer James B. Longacre was faced with the challenge of creating a coin that could be differentiated from $2.50 and $5 Liberty gold coins, in size, weight and design. Longacre met this challenge in creating the only $3 U.S. coin ever minted. Population of 94* in AU-58 at NGC, with only 22 certified in Mint State. Contains .1451 oz of Gold. NGC encapsulation protects and guarantees the AU-58 condition. Reverse: Denomination and date inside a wreath of corn, cotton, tobacco, and wheat. Mint mark at 6 o’clock.